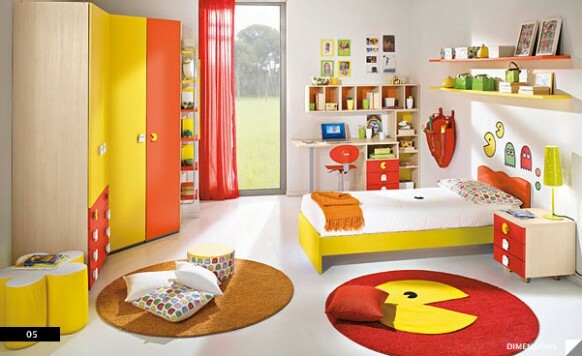 Designing a child’s bedroom can be very challenging considering the fast pace in which kids are growing up these days. It’s hard enough keeping up with endless influx of technological gadgets before finding ways to store all of these “next best things”. 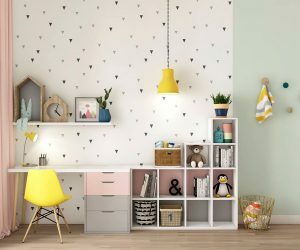 But alas, there are fun innovative storage solutions disguised by splashes of color that would make any room look like a three dimensional Picasso! 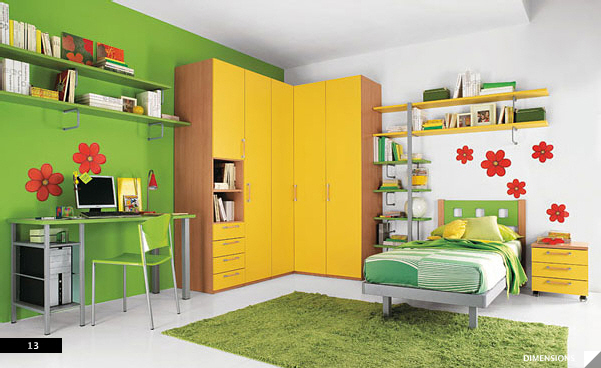 In these beautifully designed rooms below, the perfect balance of practicality and creativity has been achieved and will easily appeals to parents and children alike. The brilliant color combination of the beds, area rugs, closet units and desks are striking and set an exciting tone against the whimsical shapes and forms they create. 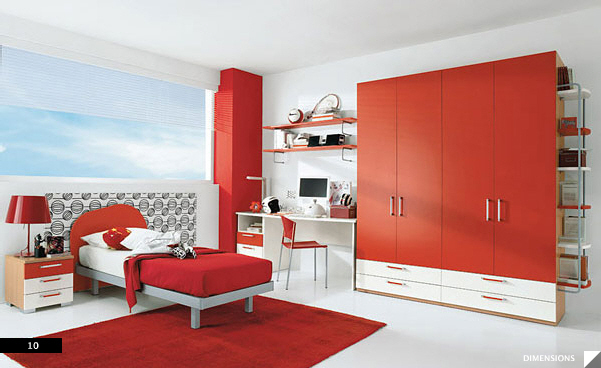 Wall art has also become a convenient way to dress up a child’s room, delivering simplicity with a punch of character in its application. Even these twin bunk beds have loads of style and provide multifunctional built-in shelving, staircases and storage units! 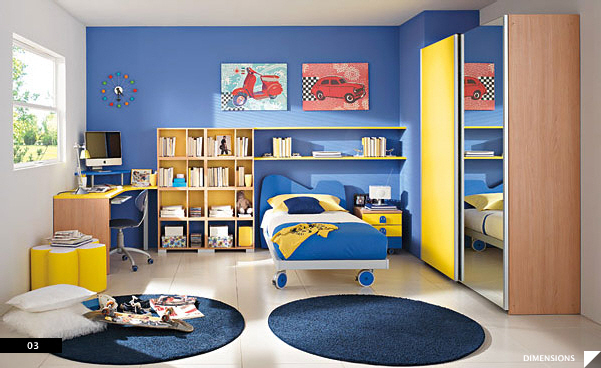 All these organizational ideas clear some floor space for a fun and modern play land as well as plenty of space for homework, of course!